Nice reading but not a prediction of the future or even the complete facts. Fact, APS lens are a notably, very much so in some models compared to FF lens. 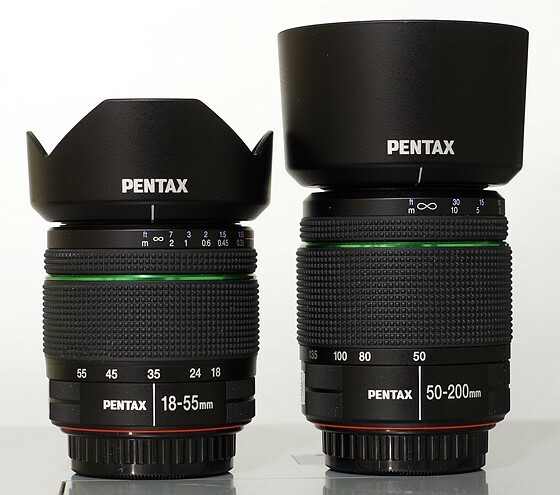 Fact People with older FF Pentax lens will achieve higher performance with APS sensor behind the lens versus a FF. Fact any camera that can be made small with FF can be made even smaller with an APS sensor and have a large reduction in production costs and very little IQ trade off, none in the normal viewing sizes. Microprocessors are getting faster, and use much less power, and are getting lower in cost, you know why? because they are getting smaller. See in this new hi-tech game its who ever can get the needed performance at the lowest price and this means the smallest package. Sort of where LCD TV are going. Your CPU has much more transistors in it and it uses much less power. Hi-Tech is not bigger. Hi-tech is smaller its doing more in a smaller package (microprocessor). The article even states that not only have APS sensor matched FF sensors of just a few years ago in low light performance but in image quality as well. That is very telling. How much more IQ do folks need before the dollar becomes the determining factor for the average enthusiasts, first time dSLR buyer or semi-pro. A quote "sensor makers focused on technologies that allowed smaller than full frame sensors to produce image quality that meets or surpasses that from full frame sensors of just a few years ago." Take the classis 70-300mm consumer telephoto lens. Tamron, Sigma, all the manufactures made one to fit both APS and FF. This made them much larger than needed. The Pentax DA50-200mm is a 75mm-300mm in FF land. Its performance is equal to those consumer offerings (and its weather sealed. The Sigma uses 58mm filter, the Tamron 62mm filters, the Pentax - 49mm filters! That's a nice savings in total manufacturing costs. And cost is a major factor in this game. 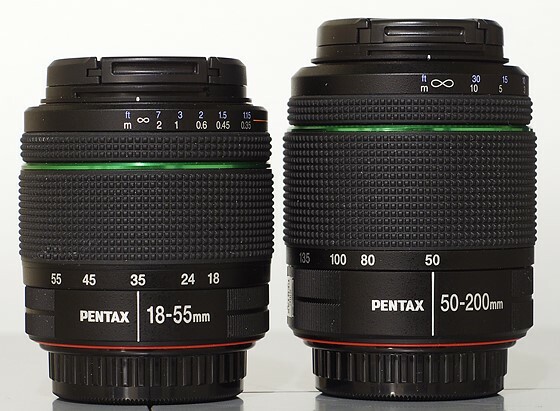 The Pentax DA50-200mm ED is much smaller than those offerings. Pentax took full advantage of APS and it shows. Pentax did have some FF glass and may toy with the idea of FF but so far and some years latter, it seems less and less likely IMO. Moreover Pentax APS only lens selection is large and covers all needs. You have to look at it right. You can't look at the DA50-200mm and say its just a small telelphoto, why do you think Pentax made it? Because probably it covers the classic FF range of ~70-300mm at f/4-5.6. That's one small telephoto weather resistant lens! Take a look at the pics. Pentax designed for APS from day one. A smart move it seems so far! How about the full frame classic of 24mm-105mm. This is really what Sigma covers in its 17-70mm lens or Pentax in its 17-70mm f/4 lens. Take Nikons AF-S 24-120mm f/4G ED VR. Its not even a f/2.8-4.0 as the new Sigma lens are. But it does match the Pentax constant f/4, it also goes out to 120mm versus 105mm. Not down playing it but 105mm versus 120mm means very little. The Nikon takes 77mm filter, the Pentax 67mm. The Nikon lens weighs 710g versus 485g. The Nikon is 105mm long and 84mm wide. The Pentax is 94mm long and 75mm wide. Really in hand and use the Nikkor is much bigger than the Sigma or Pentax offerings in the same range, same goes for Canon. There is going to come a time when every budding photography enthusiasts will want a dSLR with all the top PRO model features and performance from Canon and Nikon gave you for many of thousands of dollars, for very little cost. That's what technology brings. That time is closer. Enter the K-5 - K-3. And as long as Pentax keeps innovating and keeping things geared toward the right audience. I can dig up tons of my old posts that have come to light. The only one that threw me off and I should have known better was mirror-less. I thought it would capture a bigger market. However I assumed manufactures would make dSLR style cameras with just no moving mirror parts and an EVF. This stops all kinds of auto-focus problems, and increases reliability. Sony did. Many do make adapters, but.... when you take out all those parts you cut manufacturing costs in half almost. The asking price at first was just too high to entice people do ditch high performing dSLRs.. But no one else really did make a dSLR non-SLR replacement that could use the old glass. You had to start with a whole new system. Had I known that I would not have thought so highly of mirror-less near future. Pentax/Ricoh are in a good position to make a big hit in the photography market. People who want to step up from Cellphones and or Point and Shoots. People are starting to see the whole thing. And no amount of reviewers, and ads and money can keep people from finding the truth and eventually make the right move. Pentax is making it real simple. High performing tough weather resistant cameras, more APS only lens than anyone and at affordable prices. Unless you have a very special need, its a very compelling offering. The Camera is only a tool, photography is deciding how to use it.